If you love a trip with your concealed weapon, then you need to know how to travel interstate with your firearm. What Is the Big Deal About Gun Laws? Is There a Law That Tells How to Travel Interstate with Your Firearm? Is There a Way to Avoid Arrests When Traveling with Firearms? 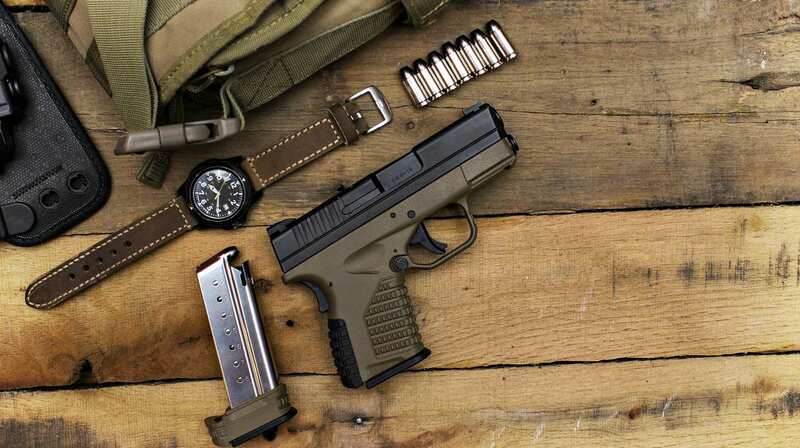 Being a carrier entails the knowledge of how to travel interstate with your firearm. Owning a gun is one thing. Traveling with a gun in the car is a whole different story. If you plan on transporting firearms across state lines, you need to do a bit of research. It ensures you don’t violate any concealed carry laws along the way. The different state rules on owning and traveling with firearms are the biggest source of confusion for gun owners. What one state may allow may be illegal in another. In addition, these laws can change. It becomes important to update yourself, especially if you like traveling with firearms. State laws are also not the only things to worry about when learning how to travel with your firearm. You also need to familiarize yourself with federal laws that outline specific establishments where you cannot enter with a gun—the post office, for one. Many states require people to take concealed carry classes before they can receive permits. These, of course, effectively provide future gun owners with a primer on state and federal firearm laws. What they don’t do is cover interstate travel. If you want to enter another state with your guns, especially one that is not a fan of firearms, then you’ll still have to do your research. Before proceeding any further, I want to point out I’m not a lawyer. I am not giving away legal advice. Please consult your attorney before transporting ammunition by car to avoid problems along the way. The information below, though, may still be helpful. You have a license to carry firearms in your home state for any lawful purpose (like self-defense). You can lawfully possess firearms in your destination. The car doesn’t have a loaded firearm. It must be out of your reach along with the ammunition. If you want to be extra safe, a lawyer I talked to suggested locking the ammo and guns in separate lock boxes. These can be in the trunk or anywhere you cannot reach immediately. This is especially important when passing through a state that doesn’t like guns. He also added it’s best to not stop at all at such states. Keep in mind the U.S. Code 926A only allows you to travel through, not to, the states where it’s illegal to carry firearms. In 2015, I brought my family to Florida to go see the giant mouse. I can legally own and carry in my home state and in Florida. Here’s the thing, though. Unless I want to take a two-hour detour on a twenty-hour trip with three little kids, I have to drive straight through Maryland. If you didn’t know, traveling through Maryland with a handgun can be difficult. The state has one of the toughest gun laws. It’s a good thing I can have a way around this situation. I can have (and carry) my gun where I’m from and where I’m going. Most of all, the U.S. Code 926A protects me even when I am passing through such a tough state. What we did was drive to Gettysburg, which is right on the southern border of Pennsylvania. We got out to give the kids a restroom break, and I locked up my firearm and ammunition. We then drove straight through Maryland. I was careful to not have any instances the police would pull me over. Once I got to Virginia, it was safe to breathe again because I was back in a gun-friendly state. Virginia reciprocates with Pennsylvania. South Carolina does not reciprocate with Pennsylvania, so it was the same deal there. They are a gun-friendly state, though, so I wasn’t stressing. My lawyer also suggested we adhere to any magazine restriction laws. I bought my XD Mod.2 with the short mag to make sure I wasn’t breaking any laws. I believe he didn’t want us to give local authorities any reason to jam us up and lock us in prison. We want to take as many precautions as possible. What Is Reciprocity? Reciprocity, in relation to gun laws, means the state honors the permits issued by another. In this process, the gun owner doesn’t need to worry about any arrest for carrying such a weapon. I want to take a moment to stress a few things here. First, for this to apply, you cannot simply own a firearm. It seems the law requires you to carry your firearm with a license or permit. Therefore, in states like Vermont that don’t give permits, you may be up that proverbial creek. Please travel with caution as well. Make sure you understand the laws on how to travel interstate with your firearm. It’s one of the reasons why US Law Shield is great. It’s only $10.95 per month to join. It also has a multi-stage coverage across 50 states, as well as Puerto Rico and Washington DC. He contacts a program attorney in each of the states I plan to travel through. He then explains what to do through each state in a highly detailed letter that I can carry with me. The letter is on official letterhead and even explains 926A in detail. The last time I traveled, it was 10 pages long, and I only went to Virginia. Why is it important the letter explains 926A? It isn’t their fault. They don’t need to learn the federal law. Learning how to travel interstate with your firearm is difficult and time-consuming. You need to do your research. If you know the laws that apply and put them to use, though, you can safely cross state lines and still protect your family while doing it. Are you aware of this federal gun law? Let us know in the comments section below! Editor’s Note: This post was originally published on January 28, 2019, and has been updated for quality and relevancy.